I’ve talked about testing sewing patterns for Do It Better Yourself Club on several occasions. 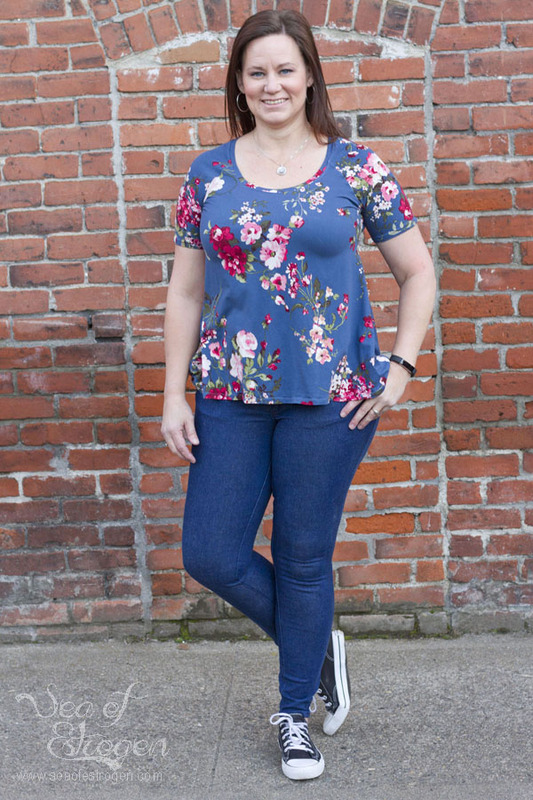 I have tested several patterns for them, including the Babe Hoodie, Julianne Top, Marjorie Tee Dress, Nicolette Tee, and the Nora Sweater (linked if I blogged about them). 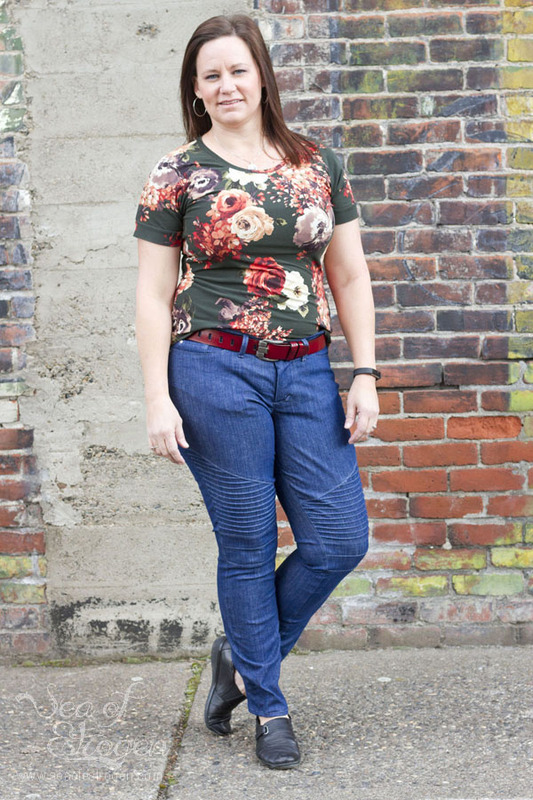 Each of those patterns has been exceptionally written with extensive instructions, grading and size adjustments, and video tutorials, and this new collection of jeans patterns is no exception! 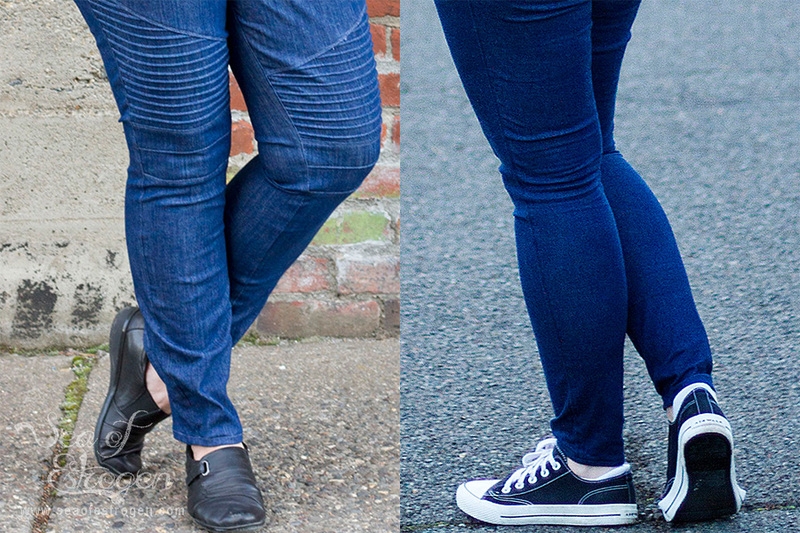 This week, after months (literally) of work, preparation, and testing, the DIBY Club is releasing four brand new jeans patterns. Introducing the DIBY Club jean patterns: Dauphine Skinny Jeans, Bravado Bootcut & Flood Jeans, Walker Shorts, and Augusta Moto Pants! I tested all four patterns, and I will talk about each pattern specifically further along in the post. All four patterns require the same type of fabric, notions, etc., and have similar features, so I will talk about those first. 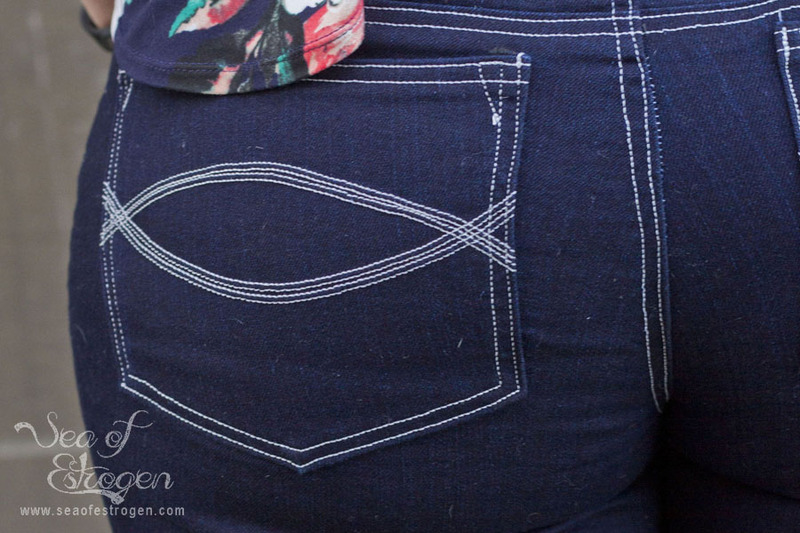 Each of these patterns is made for women of all shapes and sizes, and includes sizes 00 to Plus 36. In addition, the patterns include a complete instructional e-book with detailed grading and alteration instructions. The e-book also includes traditional written instructions, pictures for reference, and every DIBY club pattern includes multiple video tutorials to walk you through the tricky spots and new techniques. 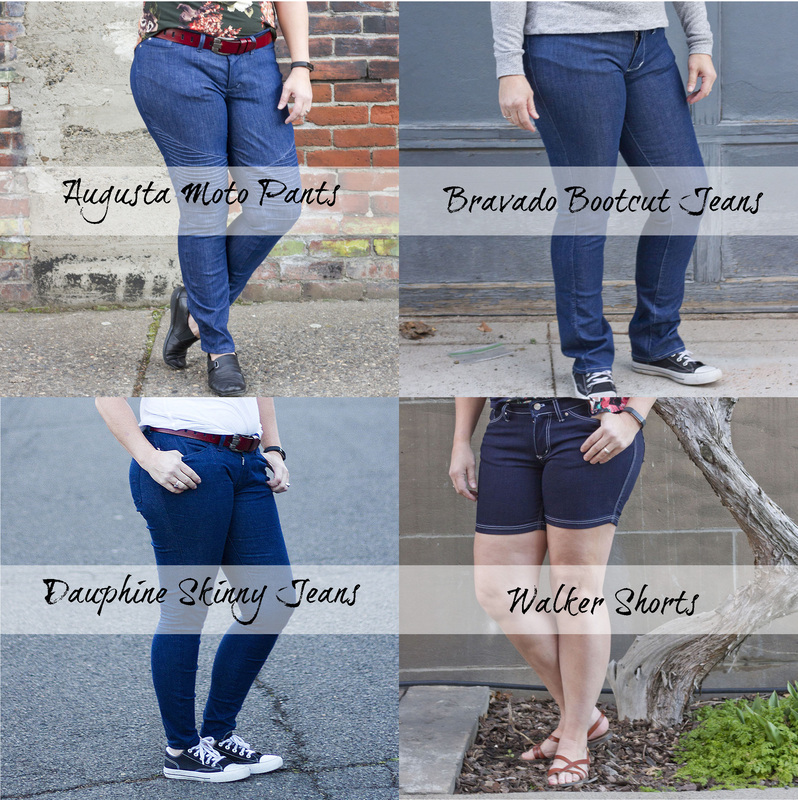 The four new jeans patterns are PDF downloads available in US Letter, A4, and AO (copy shop) file formats, no trim layers, and they also include layers. This feature allows for printing all sizes at once or only the size(s) needed. In addition, all four patterns include imperial and metric measurements, a huge community of support (DIBY Club Facebook Group), and ongoing designer support. 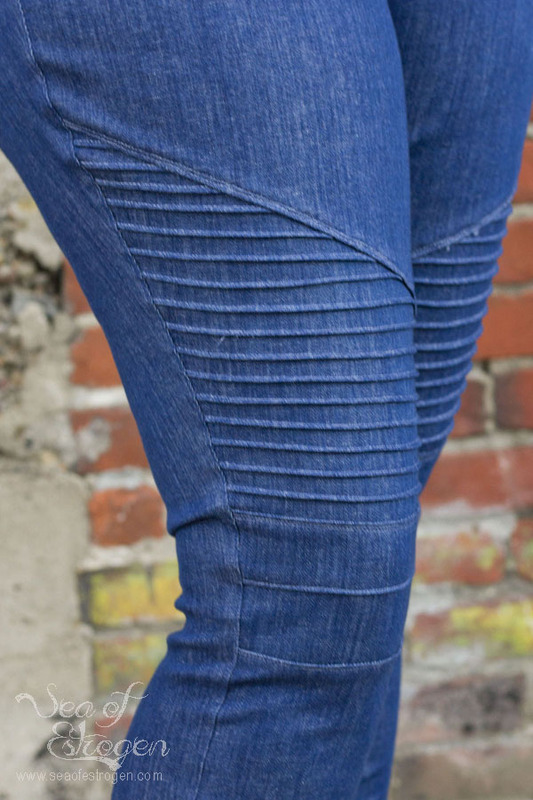 Finally, all four patterns are suitable for seamstresses with intermediate skills and beyond; however, I feel that the instructions, community support, and accesses to designers would allow for a confident beginner to attempt making these jeans. All four of the jeans patterns are drafted for MEDIUM WEIGHT, stable fabrics with at least 25% two-way stretch and lycra/spandex for recovery. 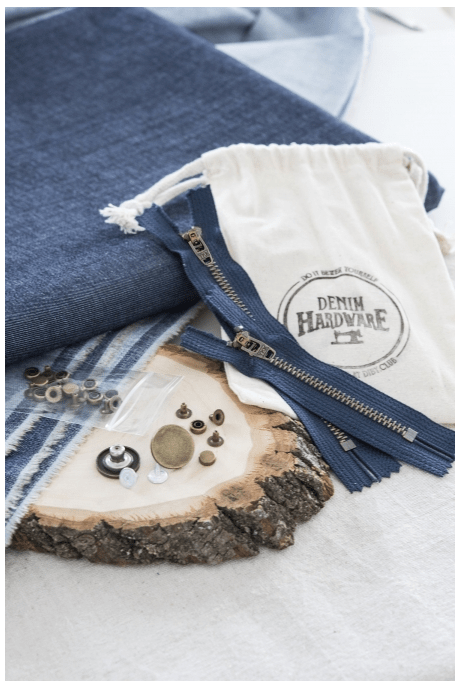 Fun Fact: The DIBY Club has added several denim options, jeans hardware, and sewing kits to their online store! More about this amazingness at the end of this post. As far as fit and pattern options, all four patterns include either a Mid-Rise or High Rise option. 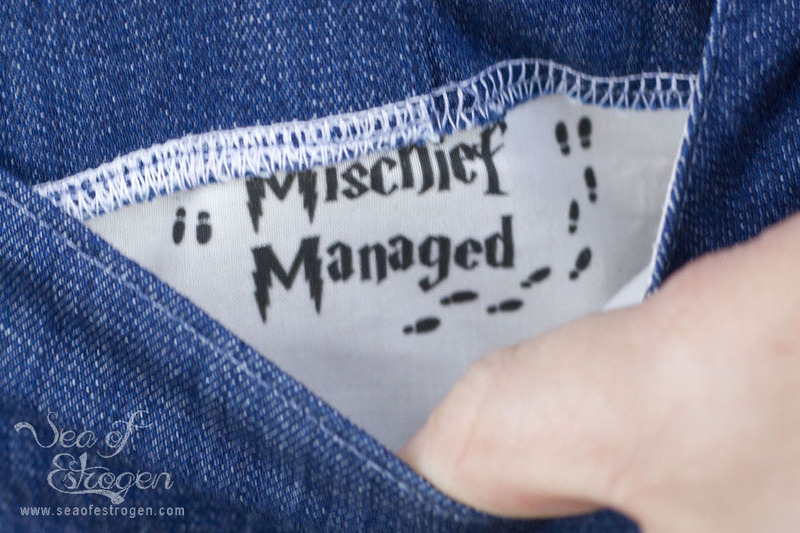 In addition, they include instructions for adding an optional coin pocket and belt loops. All four patterns utilize negative ease in some areas of the garment. Be sure to take this into account when reading the finished garment measurements when deciding whether or not to grade between sizes. Now that I’ve talked your ears off about all four patterns in general, let’s talk about each pattern specifically! All four of these patterns are drafted for a 28.5” inseam, and I added 3” for my inseam length. The Augusta Moto Pants include two different thigh panel options – a plain panel, or pin tuck panel. I chose to make the pin tuck panel, and I love the detail it gave to the panel. Initially, I made this pattern out of faux leather, and they were AWESOME; however, I made a huge mistake that I could not fix and had to toss them. Consequently, I got a little behind in the testing process and did not grade my final pair like I should have which is really obvious when you compare the ankle of these to the ankle of my Dauphine Skinny Jeans (below). Finally, the Augusta Moto pants have either the ankle length or a capri length option. For reference, I made this collage to show how important grading really is. The Augusta Motos are on the left, and my Dauphine’s are on the right. These are my new favorite jeans. Seriously! I have never had a pair of ready-to-wear jeans that fit me this well. I measure in four different sizes, and taking the time to grade between sizes for fit is obvious in my final photos. The next time I make the Bravado Bootcut Jeans, I will add at least 4” because I like my boot cut jeans to be extra long. In addition to the two previously mentioned rise heights, the Bravados also come in two lengths – ankle and flood. The flood length includes two hemline finishes – hemmed and rolled. 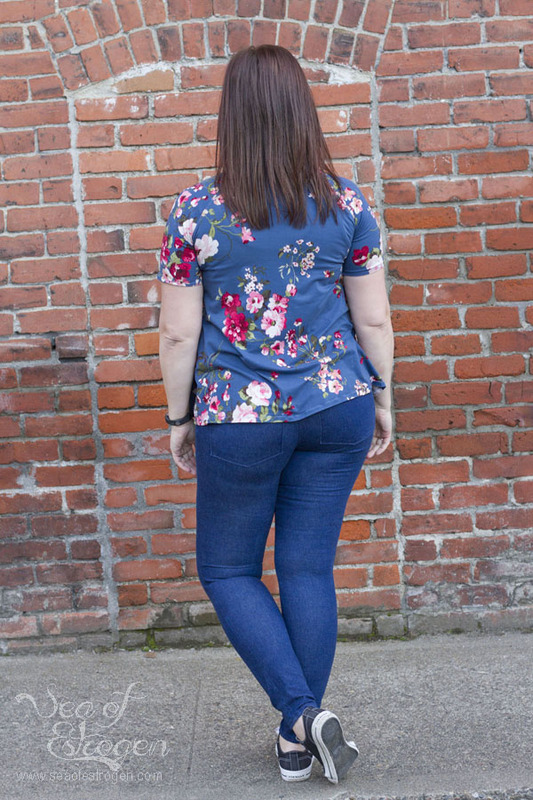 The Dauphine Skinny Jeans are the first pattern of this series that I tested. They fit perfectly, and I wear them all the time! Check out the ankle, and then go back and check out the ankle on my moto pants. Yikes. Dauphine is available in ankle and capri lengths with two hemline finish options for the capri length. The final pattern in this collection is the Walker Shorts. They are available in three lengths: traditional shorts (4”), mid-length shorts (6.5”), and Bermuda Shorts. Hemline options include folded under or a rolled up cuff. I chose to make the mid-length shorts with the rolled-up cuff option; however, I finished it with a folded hem instead. When preparing to release these patterns for testing, Jessica & Kelly searched high and low for good quality, affordable stretch denim sources. After scouring the planet, they have found the best quality stretch denim for their patterns, and have started carrying them in the DIBY Club online shop. In addition, they sourced hardware and zipper suppliers so they can provide everything needed for their patterns in one place. The hardware, fabric, and zippers can be purchased as a Designer Jean Sewing Kit, or separately. 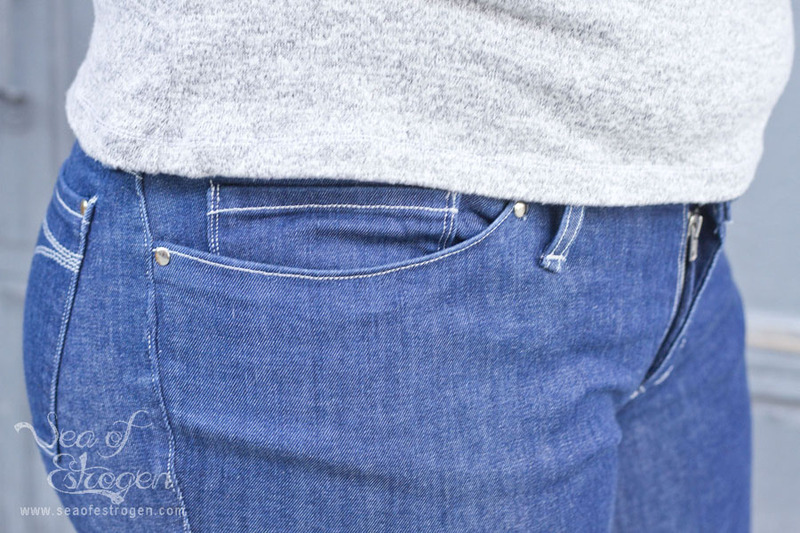 There are four different denim options, two zipper sizes and two zipper hardware colors, as well as several tack button options, all of which are available in the Bespoke Denim Shoppe. I know I say this a lot about patterns I’ve tested or made, but these are absolutely amazing! Seriously. My new Spring/Summer goal is to replace all of the ready to wear jeans in my closet with me-made DIBY Club jeans because they fit me so much better than any of my RTW jeans. 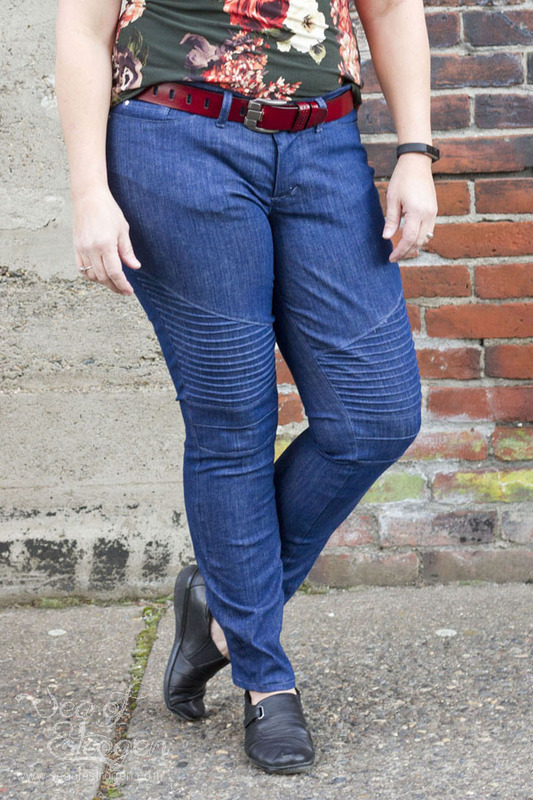 I won’t completely get rid of the RTW jeans, but they’ll become my working in the yard jeans. The patterns can be purchased individually (linked above), or all in one as the Bespoke Jean Sewing Pattern Bundle.